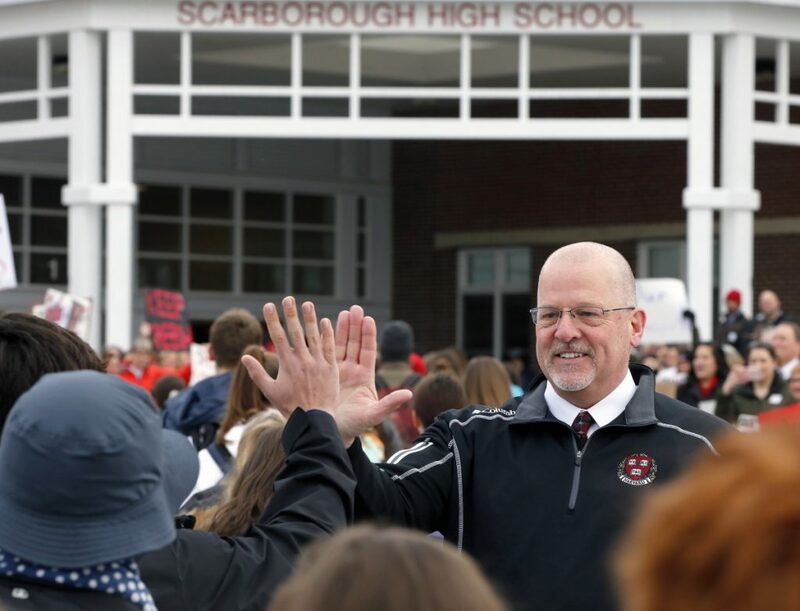 SCARBOROUGH — The Board of Education moved its regularly scheduled meeting Thursday evening to accommodate hundreds of people who showed up to protest circumstances surrounding the recent resignation of Scarborough High School Principal David Creech. The meeting was moved from the council chamber at Town Hall to the cafeteria at Wentworth Middle School, where the board heard more than an hour of public comment, much of it supporting Creech. The crowd far exceeded the council chamber’s legal seating capacity of 99 people, and swelled to more than 400 people at Wentworth, said Fire Capt. Jim Butler Jr.
Creech submitted a resignation letter Feb. 16 without giving a public reason, though his wife and his lawyer claim that he did it under duress. He rescinded his resignation Monday morning, after hundreds of students and parents staged a protest at Town Hall and the high school as they returned from winter break. Superintendent Julie Kukenberger has refused to accept Creech’s withdrawal of his resignation and the school board has refused to meet with Creech, according to his lawyer, William Michaud. After the board met in executive session with its attorney Thursday for nearly two hours, the attorney told Michaud that Creech’s resignation would stand, Michaud said. Creech’s resignation letter said he would leave June 30. Neither Kukenberger nor school board Chairwoman Donna Beeley responded immediately Friday to requests for comment. Michaud said Creech submitted the letter a day after Kukenberger called him into a meeting, told him he was no longer a good fit for the district, and “threatened” that if he didn’t resign, she wasn’t going to renew his contract for the following year. 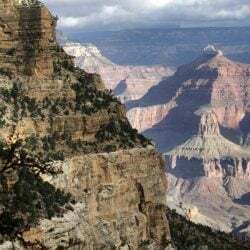 Parents and community groups are connecting the turmoil to growing controversy over a pending change in school start times and concerns about a new grading system required under proficiency-based standards. Creech has experienced an outpouring of community support, including a #WeStandWithCreech social media campaign and an online petition signed by more than 1,500 people.